Sounds from the arcade and a powerful sequencer in a handheld package. 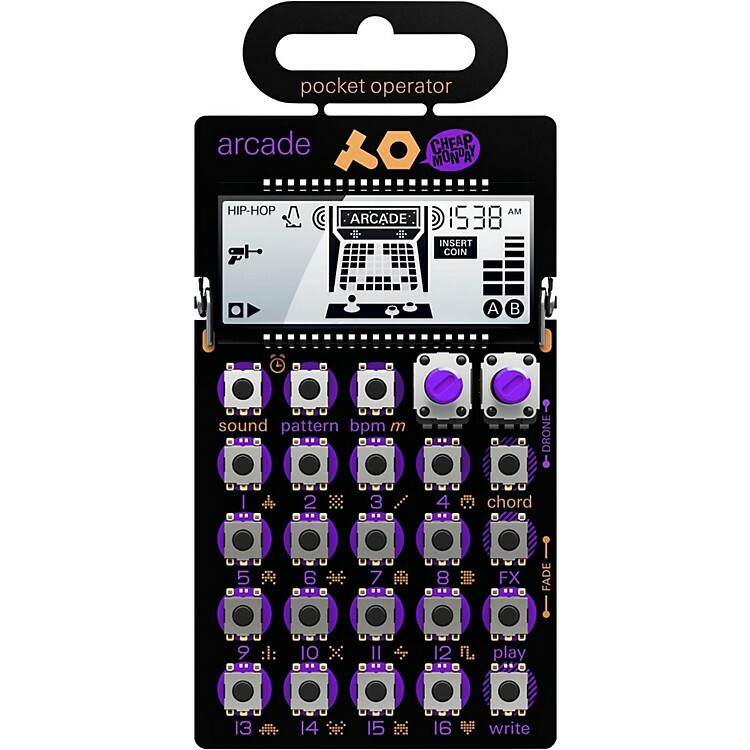 The Pocket Operator series is a fun and portable way to make electronic music, and the PO-28 is perfect for the fan of crazy bleeps and dings and other sounds you might find in a vintage arcade. It’s hard to describe a sound set, but picture this: it’s 1982 and a brand new magic video game cabinet has arrived at the local amusement arcade. Somehow the machine is stuck in sound debug mode. Now you’re getting the idea. Order today. This one is a riot.